Kaitlynn is thrilled to join the WHAS11 First Alert Storm Team and to call Louisville her new home! Kaitlynn Fish is an Anchor at WHAS11 in Louisville, KY, specializing in Meteorology. She is no stranger to the fleur-de-lis symbol as she was born and raised in New Orleans, Louisiana where her interest in weather first developed. As a high school student during Hurricane Katrina, she experienced first-hand how weather can devastate a community. She is passionate about preparedness and keeping people safe during severe weather situations. After graduating from Louisiana State University with a degree in communications, she moved to New York City and spent five years working for Fox News Channel and CBS News as a producer and on-air contributor. While in New York, she experienced everything from Superstorm Sandy to the area’s annual nor’easters and heat waves. In 2014 Kaitlynn decided to pursue her passion for weather and obtain her degree in meteorology. She will graduate from Mississippi State’s broadcast and operational meteorology program this Fall. When she isn’t studying the weather, Kaitlynn loves to cook! No recipe is too challenging and Southern classics are her favorite. She collects cookbooks from everywhere she travels and can’t wait to try all of the restaurants around town! Have a good recipe? Send it to Kaitlynn and she’ll give it a shot! 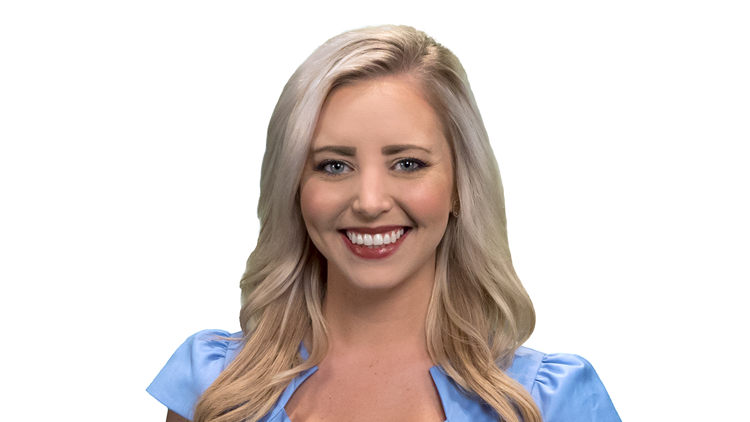 Contact Meteorologist Kaitlynn Fish at kfish@whas11.com and follow her on Twitter (@kaitlynnfish), Facebook and Instagram.